I'm a lvl 330 FULL INT warlock with absolutely 0 points invested in anything but INT (As shown in the image above). All points in SPR are caused by my gears. Still, my HP and HP recovery is a lot less than that stated in the stat calculator of the exact same class, level and rank, as shown below. Is there something wrong with the stat calculator or is it my character? Thanks for reading, any help or assistance is fully appreciated! You mentioned spirit coming from EQ. I don't think you could effectively compare the stat calculator and a character wearing EQ since the patch. I lost hope trying to be clear on every change they made, but they were clear in stating stats and equipment would be different both in combat calculations and on how they effect certain things per class. If the admins here don't respond with a verification that the stat calculator is post-patch then at least try comparing strictly naked and see if there is still a problem. If there does still appear to be a problem you could try submitting a ticket at the site. It can take a long time but they'd respond eventually. Also - I am about to create a brand new character so I can track what the stat calculator is telling me and what I'm seeing through the early levels. It should be pretty obvious if the calculator is updated or not that way. I'll let you know what i find out. Ah, that clears up the confusion. Thanks all of you! I got a work call and didn't get to start my fresh character today as planned. I will do some comparisons level-by-level this weekend and post my findings on this thread. I can't figure out how to display images on the forum. 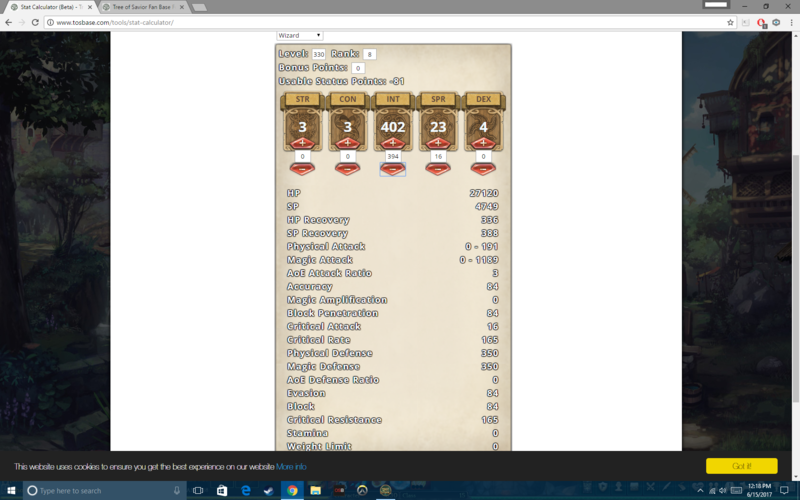 I was trying to upload my screens of lv 10, 19 and 29 swordsman in-game stats vs. the stat calculator. I'll just say, they did not match at any level so I didn't continue. If I can figure out the image issue I'll upload the screens for comparison.